We have over 35 years of experience in all these disaster restoration services so that we can serve the community faster and better. Living in the Village of Pelham puts us between the Hudson River and Long Island Sound, which creates the perfect storms. Rain coming off these large bodies of water or a pipe burst in the winter freeze can spell major trouble for your property, which is why our water damage Village of Pelham team is always ready to offer same day service. If your home suffers ruptured hoses, water heater floods, or ceiling leaks, call us for water damage restoration services and an affordable price. If you have ceiling leaks, call our IICRC certified water damage Village of Pelham specialists and we will provide you with the best water extractions. We are licensed, insured, and bonded in drying and clean up. We will help you to the best of our ability, including a free inspection to visually check for mold after the rest of the job is complete. We can tell you how to insulate your water line, repair plumbing, and clean your gutters. If you have ceiling leaks, you should call 911 Restoration right away, place a catch bucket under the leak, and contact your insurance company. We value professionalism, so everything we do is geared toward a better restoration experience. We know how stressful leaks can be. One of the worst parts about this disaster is that they can last a long time without being noticed, which means mold cultivation is possible. Call us as soon as you find these leaks and our water damage Village of Pelham technicians will be there as soon as possible to start pumping water out and looking for mold, and the best part about it is that your homeowner’s insurance will likely cover the water damage. Homeowner’s insurance covers water damage as long as your stay on top of preventative maintenance and our water damage Village of Pelham professionals can file your insurance claim for you to make sure you get the most out of your money. We are working with all insurance companies and promise an affordable price for the emergency services. Homeowner’s insurance does not cover water damage from local rivers flooding or from any issues resulting from negligence, so it is important you correctly align your downspouts, keep your sump pumps maintained, and replace appliances as necessary. The Insurance Information Institute has studies that show water damage is one of the most common forms of insurance loss, so you should always keep your home protected. 93% of all water damage incidents could be avoided. 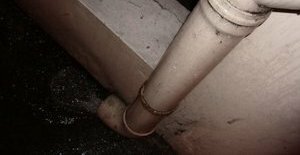 If a fluke happens, even after your responsible-homeownership, the water removal job should be covered. In addition, most homeowner’s insurance policies cover mold decontamination if the leaks that started the disasters are covered by the same policy. Call our water damage Village of Pelham experts when you need water extractions from the best water damage restoration company and we will respond within 45 minutes. 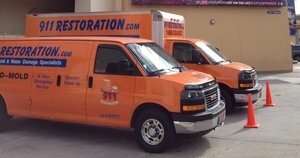 The best water damage restoration company is 911 Restoration because we value professionalism and our water damage Village of Pelham operatives always put the customer first. We are licensed, insured, and bonded in all disaster restoration services in order to get you the help you need after floods, no matter what. When a fire sprinkler malfunction destroys your office or rain condemns every house on the block, 911 Restoration Village of Pelham will be there to recover the area. Call our water damage Village of Pelham staff when you need a fresh start after storms come through the Village of Pelham.